Urban garden-grown veggies come together with a tropical fruit salsa to create this beautiful dish. 1 head of kale, stems removed. Place small handfuls of the kale in a food processor and pulse several times to shred leaves. Put shredded kale in a bowl with corn, peppers and sunflower seeds. Toss the salad with papaya avocado salsa and serve. 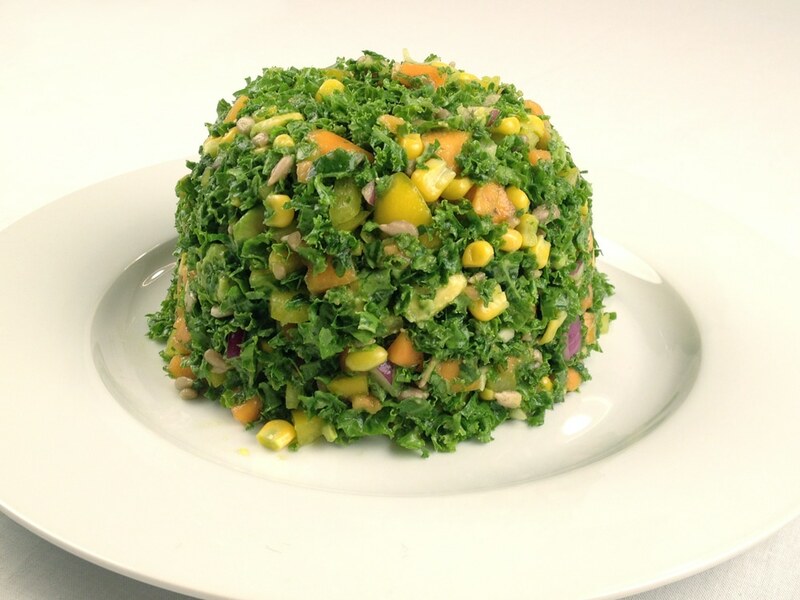 To mold the salad as in the picture, fill individual salad bowls with the kale salad and pack down firmly. Turn the bowl upside on a plate releasing the molded salad. Remove the bowl and serve.